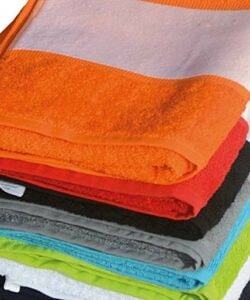 Kids towels make a wonderful gift. 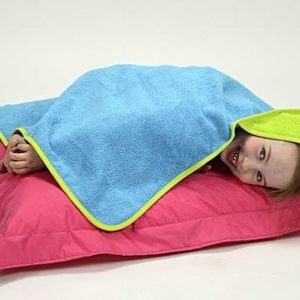 Parents love to see their little ones snuggled up in cosy towels, and kids love being wrapped up warm after their bath time or swimming lessons. 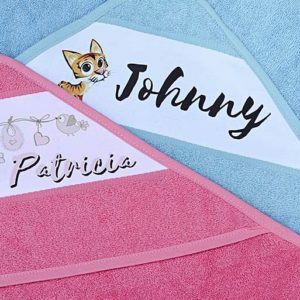 Personalisation is a way to make a child feel instantly connected to a gift, so a personalised towel is bound to make a good impression and make them happy. There are so many options with kids towels, and personalisation always goes down a treat. 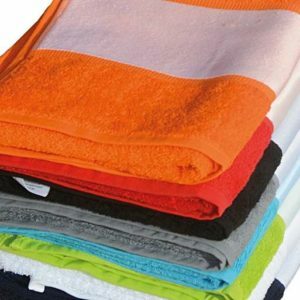 We’d recommend embroidery for most types of towel personalisation because it is extremely durable and long lasting (crucial for products near water). Embroidered kids towels are a popular choice too because they look luxurious and extremely high-quality. Having a child’s name, nickname or initials embroidered onto their kids towel is a way to make the child feel special and a way to make bathtime much more fun. 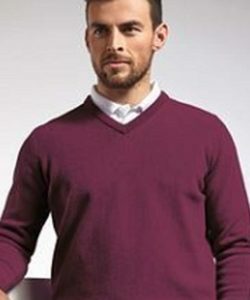 As well as including the obvious details like their name or initials, you can tailor the personalisation of their towel to their hobby and interests too. Our personalised kids towels are available in a range of sizes as well, depending on the age and height of your children. 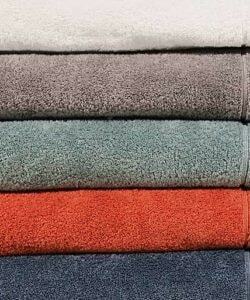 The towels we choose are beautiful quality and will feel soft and gentle against the skin. Made of microfibre towelling material, our towels are also highly absorbent and won’t be scratchy or irritating against your child’s skin. Personalised kids towels make amazing gifts for children on birthdays or at Christmas. They make bath time more fun and let the child have something truly ‘theirs’. Personalisation is something kids get really excited about, and seeing it on a bath towel or swimming towel is a special touch. Personalised baby towels make wonderful gifts for new parents, to welcome a new baby into the family. Our personalised baby towels are a really special and thoughtful gift and will provide lots of cute photo opportunities! 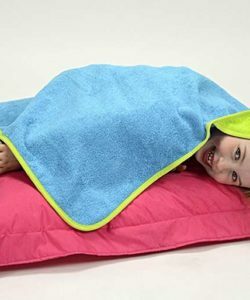 If your child is taking swimming lessons, a personalised swimming towel is a really smart purchase, but also something they’ll love to receive. 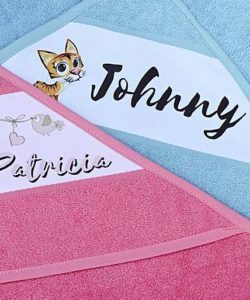 On a practical level, it stops any potential mix-ups and arguments with other kids, as you can personalise or monogram your towel to ensure everyone knows it belongs to you or your child. 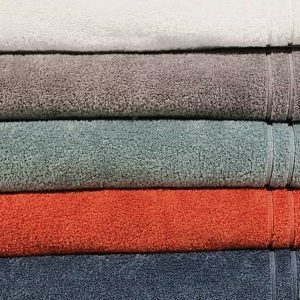 There’s nothing worse than when your child loses their towel or someone takes theirs by accident! Aside from the practical uses, your child will love showing off their new monogrammed children’s towel to all their friends! Kids towels make a wonderful merchandising product too, especially if you’re promoting a product or service in the children/parenting market and need to make an impact on parents and children alike. 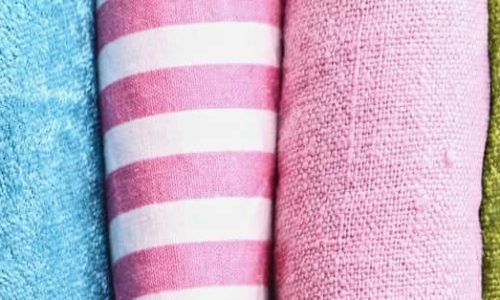 If you’d like to get a quote or if you have any questions about kids towels, you can get in touch with us on our website or via our product pages. We’re always on hand to help! 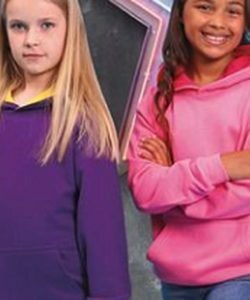 If you’d like to enquire about any of these products for kids, you can get in touch with us via our website. We look forward to hearing from you!